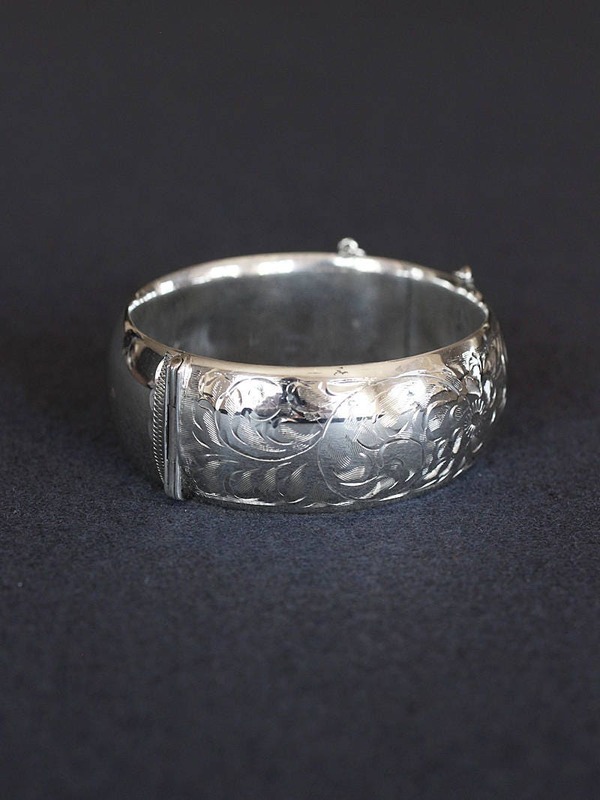 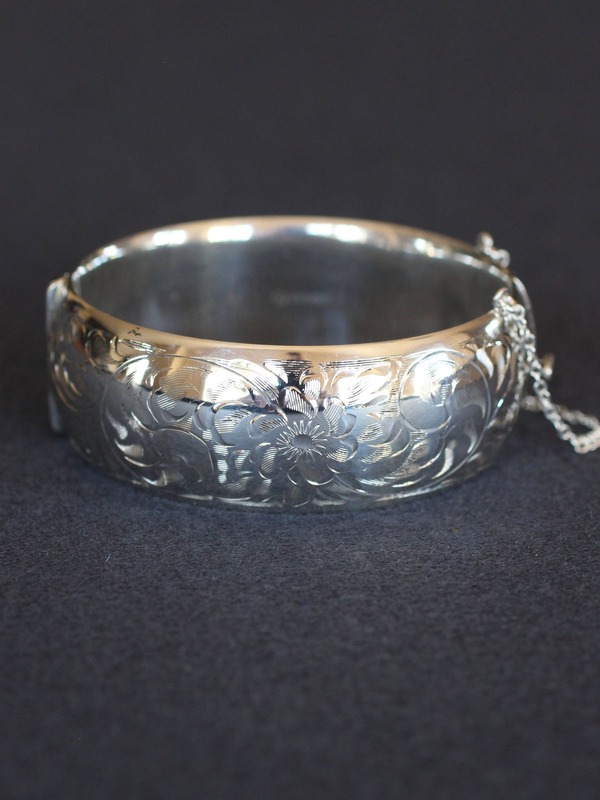 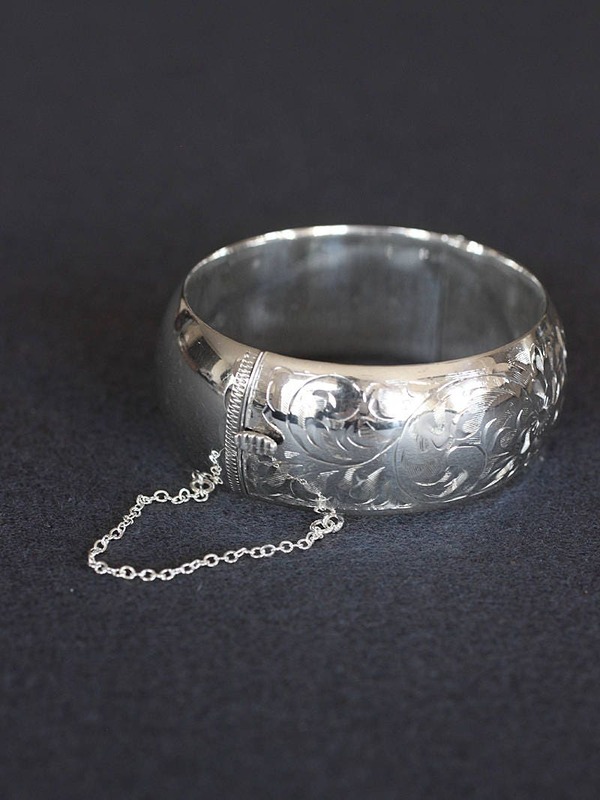 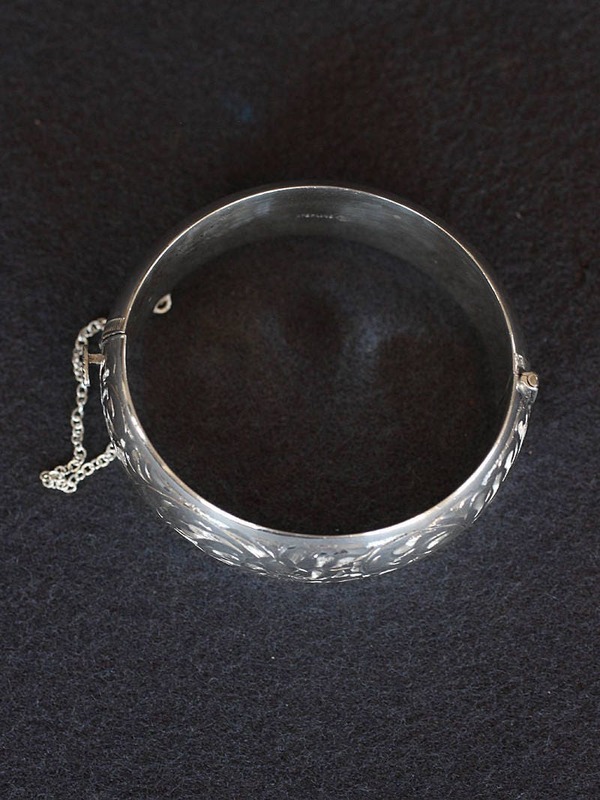 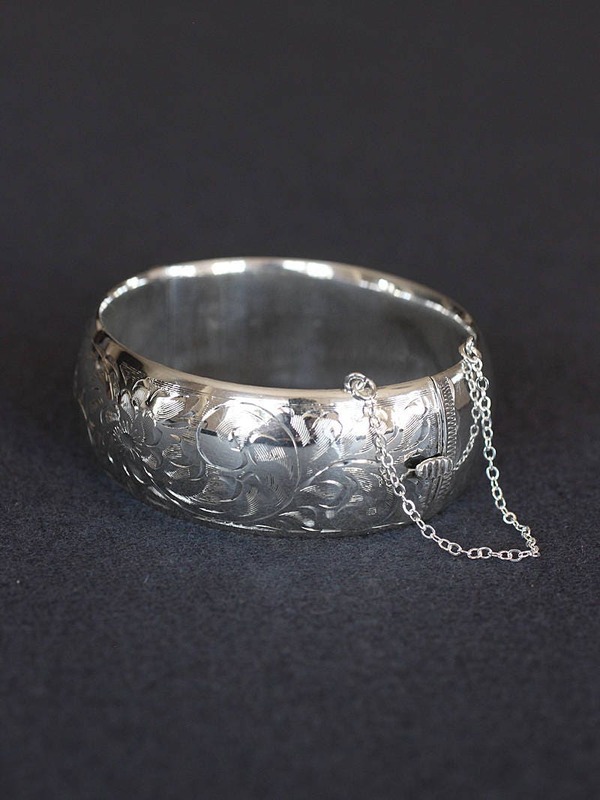 A beautiful sterling silver bangle bracelet is engraved with a flower and swirling vine design. 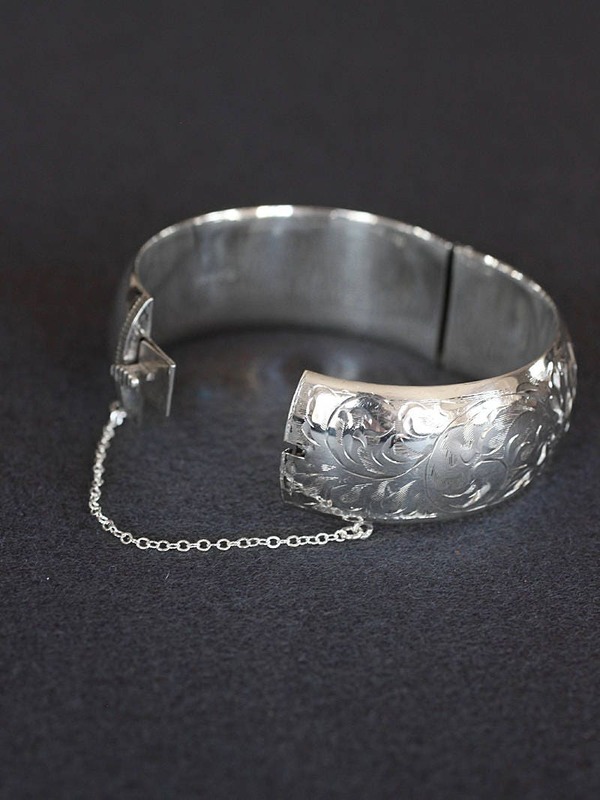 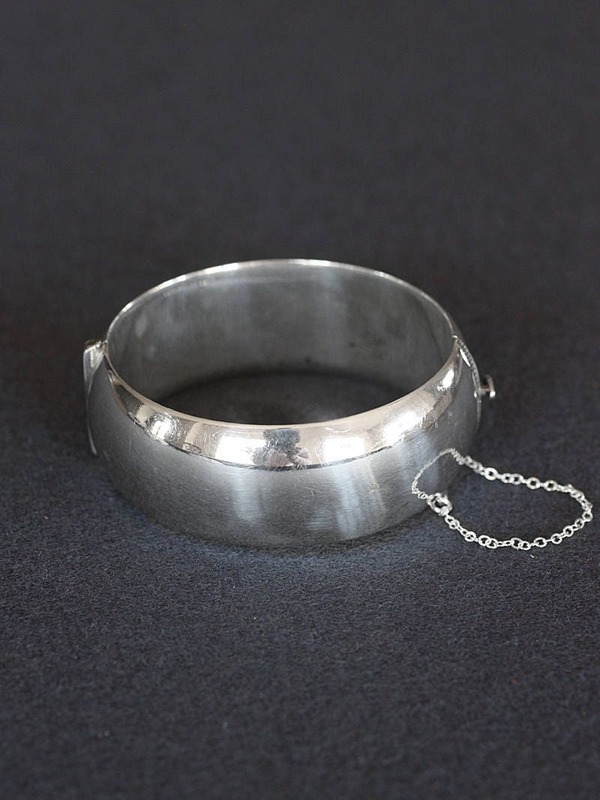 The bracelet opens and closes with a secure click and safety chain. 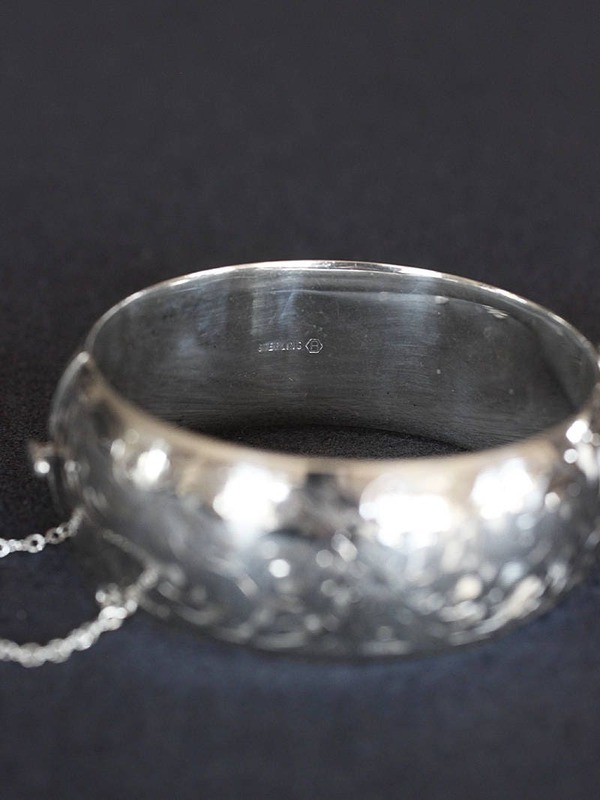 The interior is marked "Birks" for the renown Canadian jeweler.